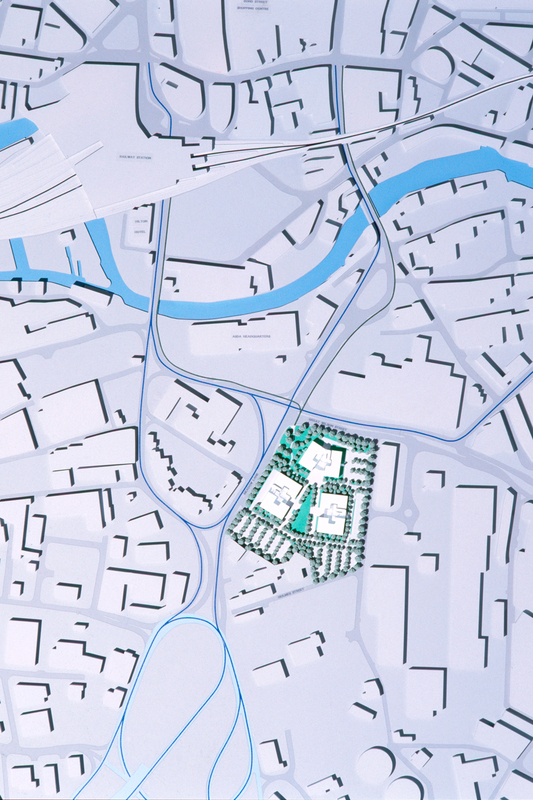 Foggo Associates won the competition for the masterplanning of a new business park on the site of a redundant gas works near the centre of Leeds in 1994. 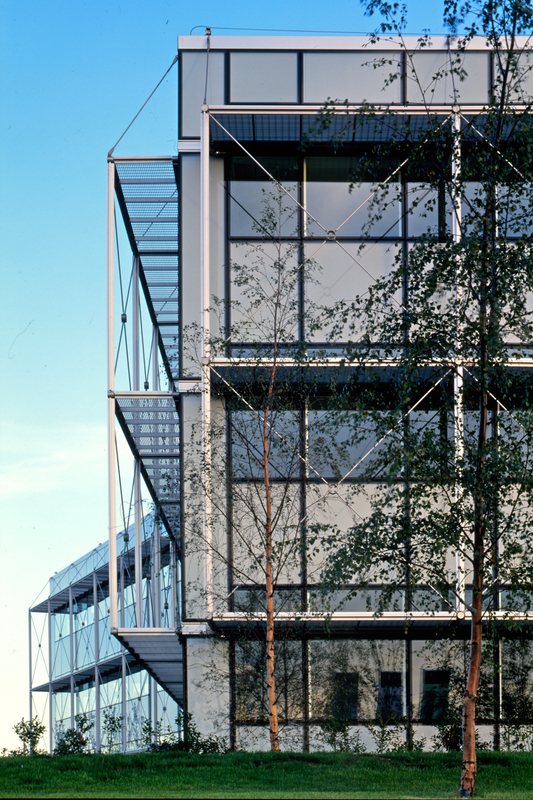 Foggo Associates designed the first of the buildings together with site infrastructure, which was completed in 1995, and designed the second building, which was completed in 2000. 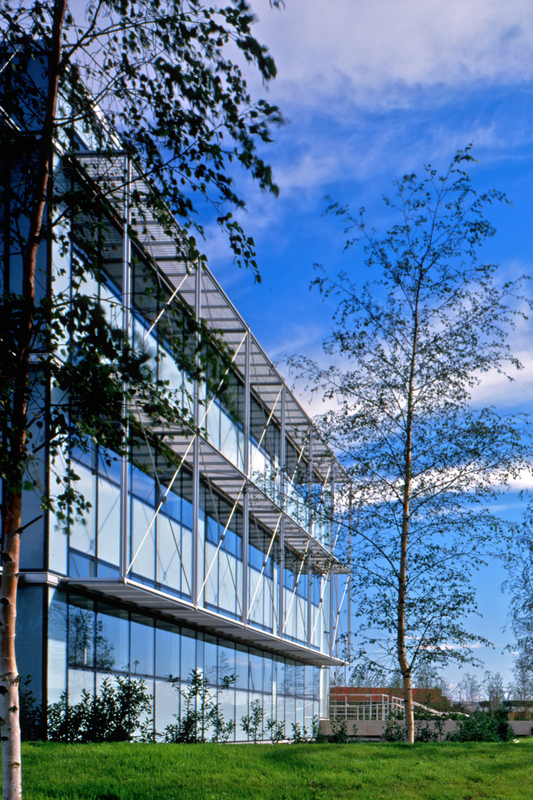 The masterplan provides a pedestrianised landscaped space in the heart of the site around which are situated a number of 3 storey office buildings. Loading bays and car parking beneath the buildings are accessed via a service road around the site perimeter. This frees the central landscaped space of vehicular traffic to provide an attractive amenity space onto which the surrounding buildings’ main entrances are focused. 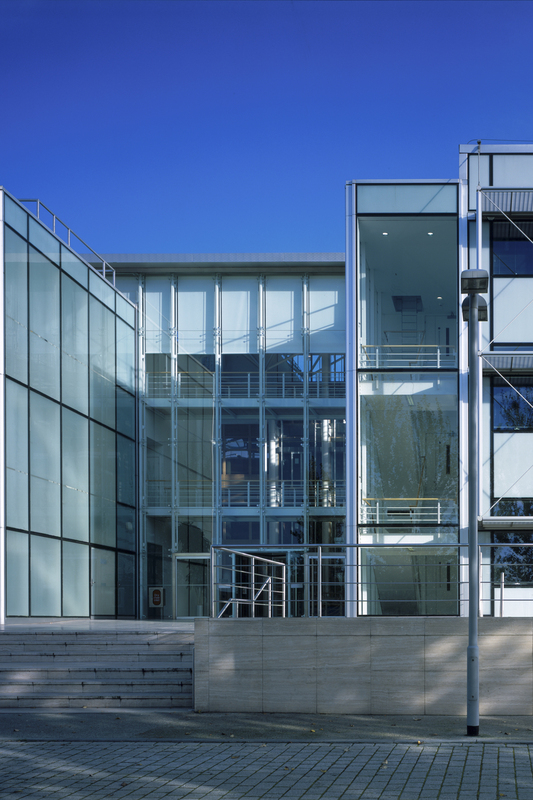 The buildings themselves were conceived to be exemplar low energy offices. No. 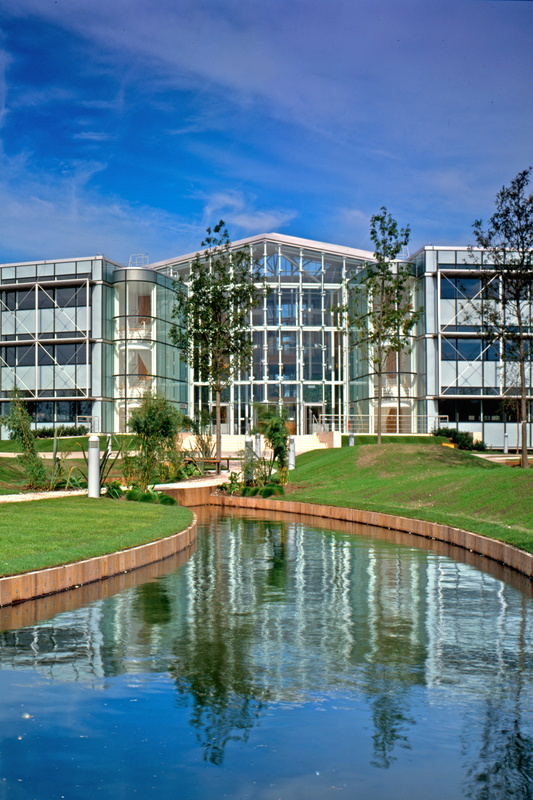 1 Leeds City Office Park received the highest BREEAM score awarded to any office building up until that time and won a BCO award in 1999.